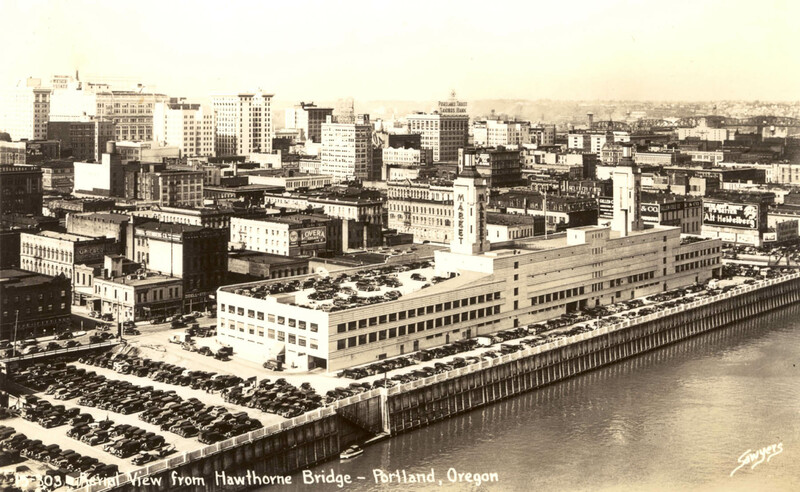 Perhaps it was a big shopping event that drew all the cars to the Portland Public Market on the westside waterfront in 1941. Wholesale destruction of Portland’s cast-iron buildings in the nearby area had not begun by this time but the coming decades would provide even more parking as many of the old buildings along Front and 1st Avenue fell to the wreckers. 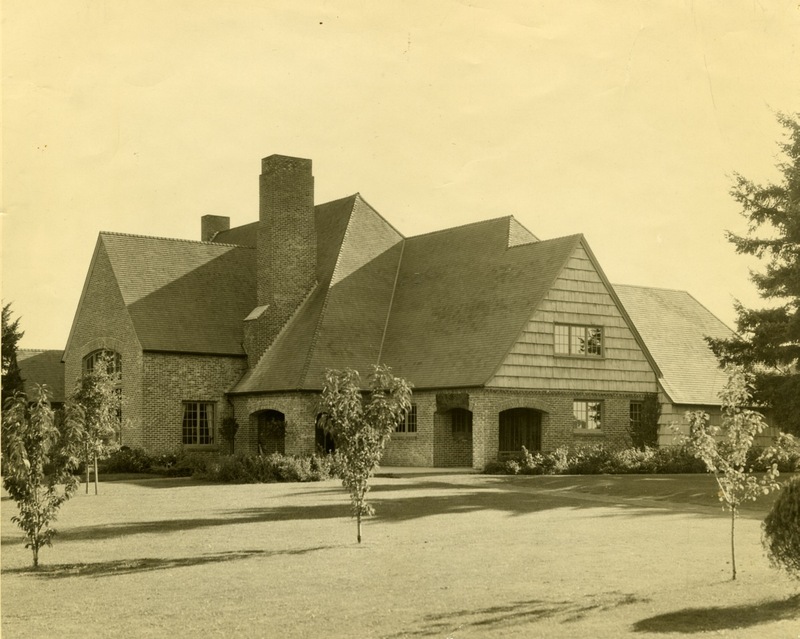 Seen here in 1945, the 1932 clubhouse at the Rose City Golf Course features beautiful brickwork and high pitched roof lines. It’s still a fine looking building and can be seen at NE Tillamook & 72nd Drive. 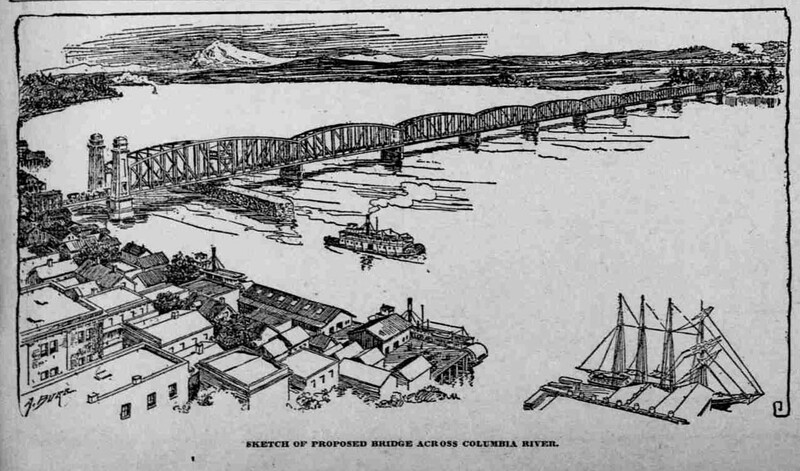 Paddle wheel boats and tall-masted sailing ships frequented the Vancouver riverfront in 1913 when this new bridge was proposed to span the Columbia River to Portland. Construction on the Vancouver-Portland Bridge began in 1915 and would open in 1917. 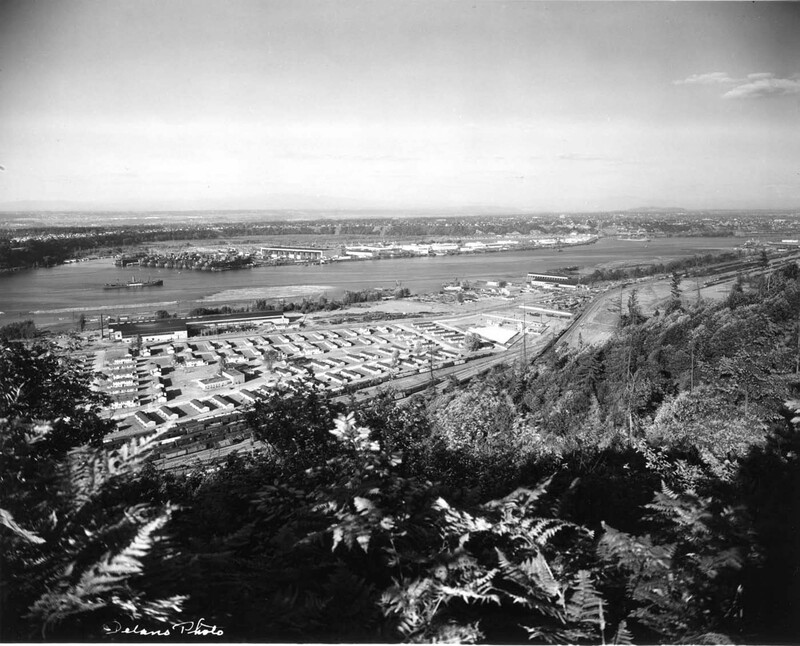 The northern-most section of the Guild’s Lake Courts wartime housing area is shown in this 1946 aerial photo looking southeast. This was the West Sector of Division 35091 and, along with the East Sector (hidden behind the hill slope to the right), contained 718 housing units. Swan Island and the shipyards can be seen across the river. The 1932 city incinerator landscape had changed quite a bit when this photo was taken in 1972. 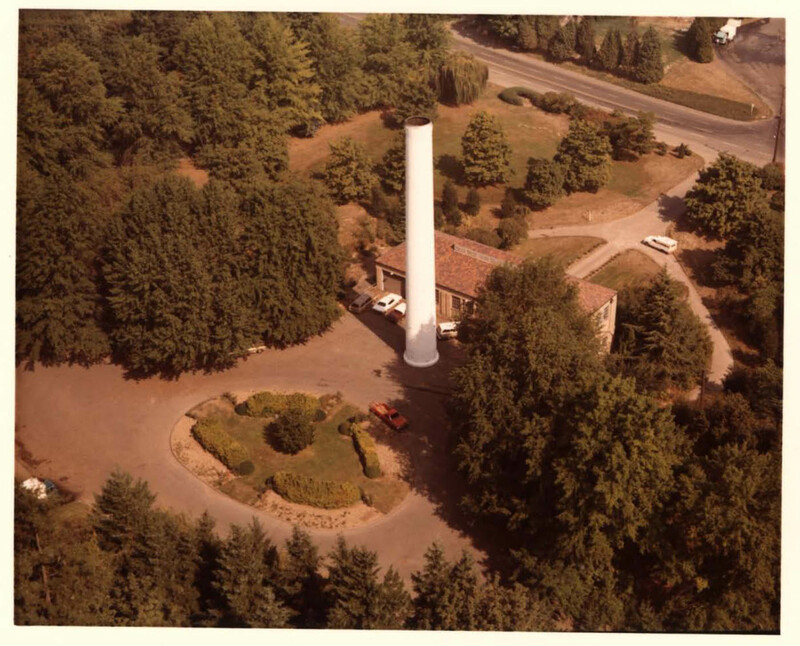 Trees obscured most of the building except for the prominent chimney; that was to come down in 1990. The facility had closed as an incinerator in 1970. 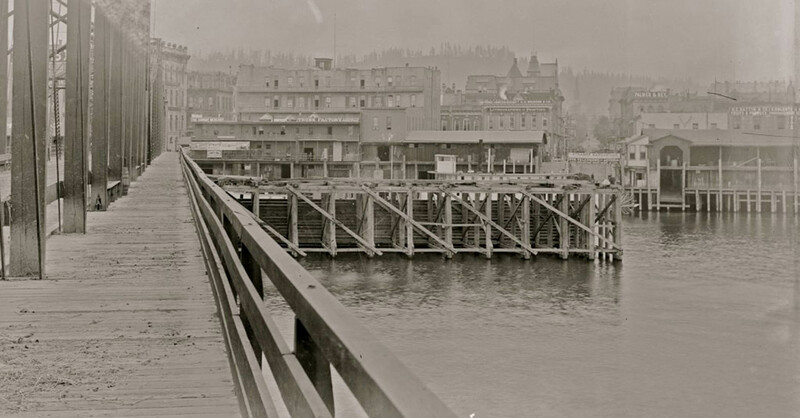 VP fan Bill Stearns sent this great photo taken from the deck of the original Morrison Bridge, circa 1890s, looking west to the downtown waterfront. He recently obtained the original glass plate negative which he scanned for this beautiful image. 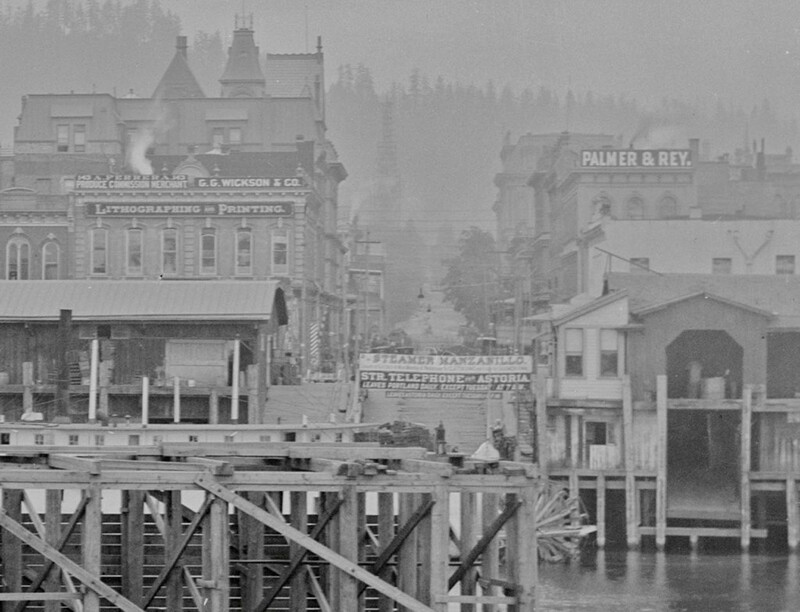 In the detail photo at bottom, a paddle wheel steamer can be seen at the Alder Street Dock. Thanks Bill! 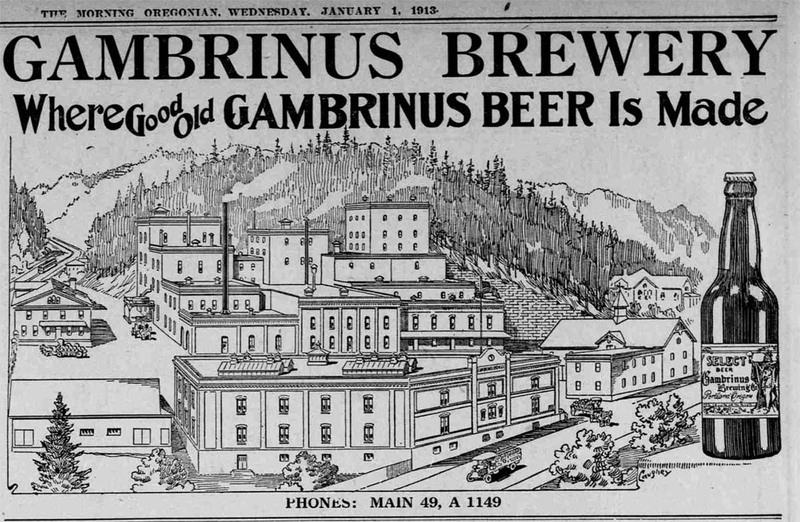 The “good old” Gambrinus Brewery complex at one time filled the triangle formed at West Burnside and NW Westover, butting up against the West Hills. The building front and center in this 1913 illustration still stands and is home to specialty shops.